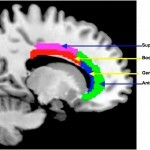 Brain areas influenced by IBMTEUGENE, Ore. — (Aug. 16, 2010) — Just 11 hours of learning a meditation technique induces positive structural changes in brain connectivity by boosting efficiency in a part of the brain that helps a person regulate behavior in accordance with their goals, researchers report. Photo of Yi-Yuan TangIBMT was adapted from traditional Chinese medicine in the 1990s in China, where it is practiced by thousands of people. It is now being taught to undergraduates involved in research on the method at the University of Oregon. The new research — published online Aug. 16 ahead of regular publication in the Proceedings of the National Academy of Sciences — involved 45 UO students (28 males and 17 females); 22 subjects received IBMT while 23 participants were in a control group that received the same amount of relaxation training. The experiments involved the use of brain-imaging equipment in the UO’s Robert and Beverly Lewis Center for Neuroimaging. 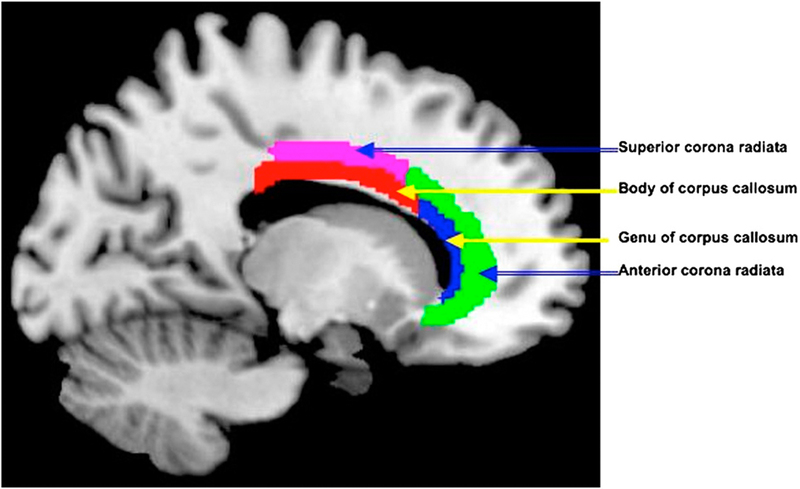 Photo of Michael PosnerA type of magnetic resonance called diffusion tensor imaging allowed researchers to examine fibers connecting brain regions before and after training. The changes were strongest in connections involving the anterior cingulate, a brain area related to the ability to regulate emotions and behavior. The changes were observed only in those who practiced meditation and not in the control group. The changes in connectivity began after six hours of training and became clear by 11 hours of practice. The researchers said it is possible the changes resulted from a reorganization of white-matter tracts or by an increase of myelin that surrounds the connections. Deficits in activation of the anterior cingulate cortex have been associated with attention deficit disorder, dementia, depression, schizophrenia and many other disorders. “We believe this new finding is of interest to the fields of education, health and neuroscience, as well as for the general public,” Tang said. hi there – is it just me !! can any one explain why when i type in the bing browser “www.damazen.com” i get a different site yet whe i type it in google its ok? could this be a bug in my system or is any one else having same probs ? Hi Alfie, it’s loading ok for me. Let me know if you keep having trouble.